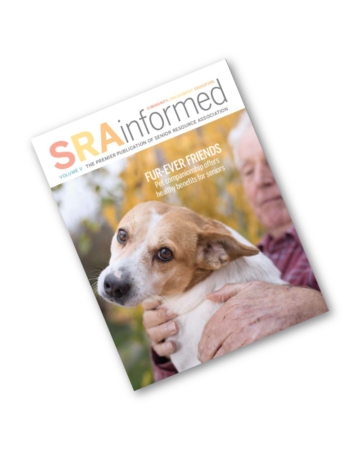 SRAinformed is the premier publication of Senior Resource Association. Launched in July 2017, our non-profit publication was created to engage our friends, donors, followers, clients and their families in new and meaningful ways. Our hope is that each quarterly issue will inspire, educate, raise awareness for public programs, and create a greater sense of community. We will share issues and solutions that reflect our progressive view on everything related to senior care. For more than 40 years our organization has provided programs and services committed to helping older adults stay in their homes for as long as safely possible. Today, we are a leading industry expert in Indian River County and the state of Florida. Subscribe to SRAinformed below and never miss an issue as we share our resources with everyone in Indian River County and beyond.